Graphical representation of different data types in miRandola. Click on the specific term of interest to query the database. Circos plot for different tumor types. 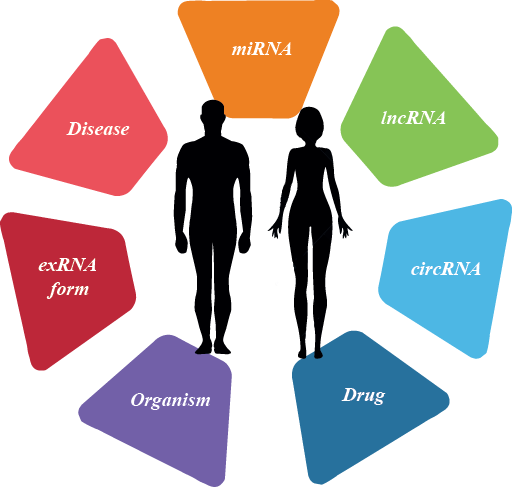 Here, you can find the disease network representing the RNAs in common for the most representitive tumor types. Click on the disease name to see the full data. Heatmap representing the RNA-Disease co-occurrences. The values in the heatmap are the entries in miRandola. Click on the specific cell to see more details.